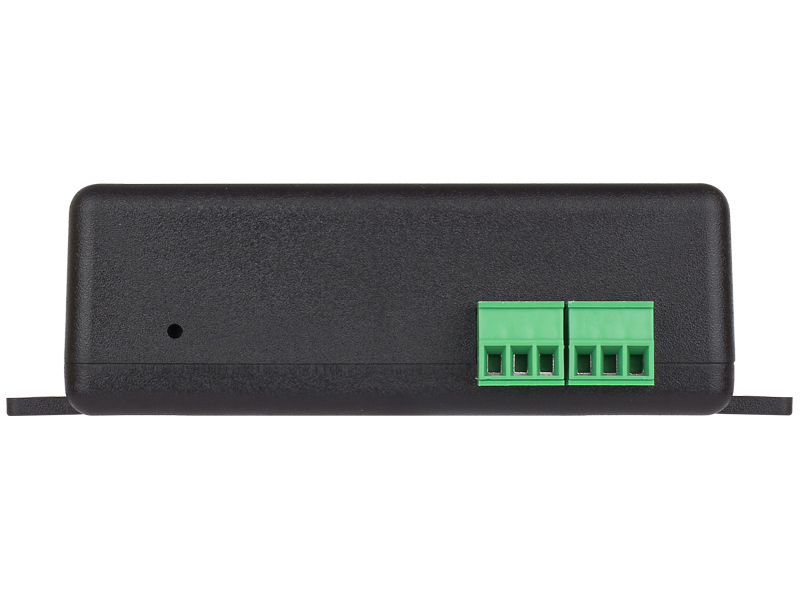 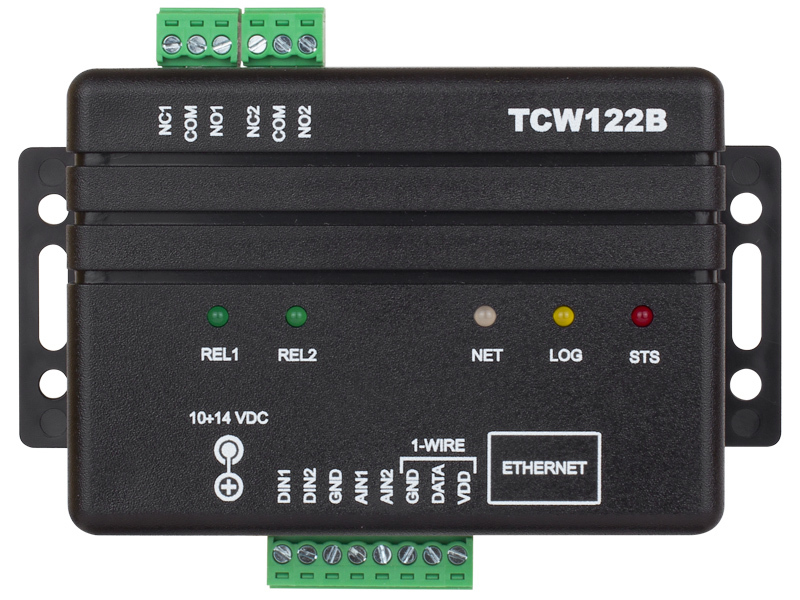 TCW122B-RR is an Ethernet remote relay control module for industrial automation. 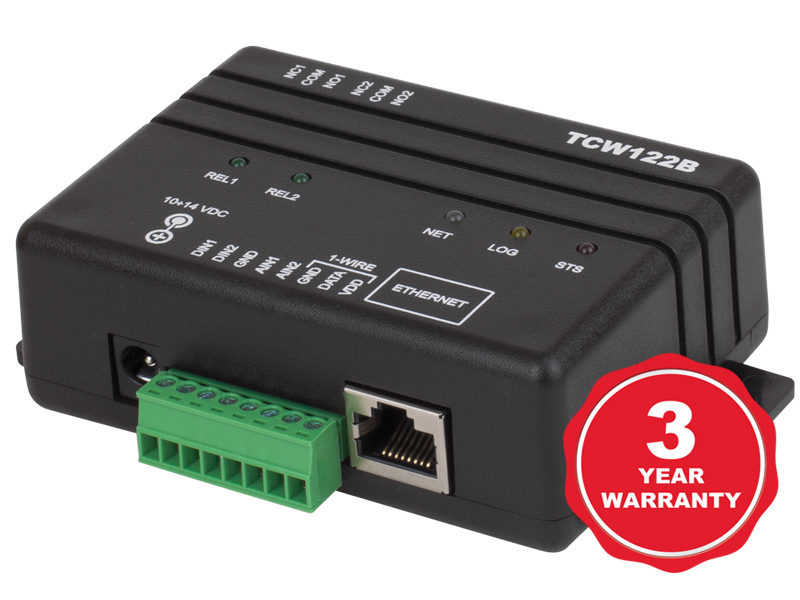 TCW122B-RR is a remote relay control module that has two digital inputs and two relay outputs, with normally open and normally closed contacts. 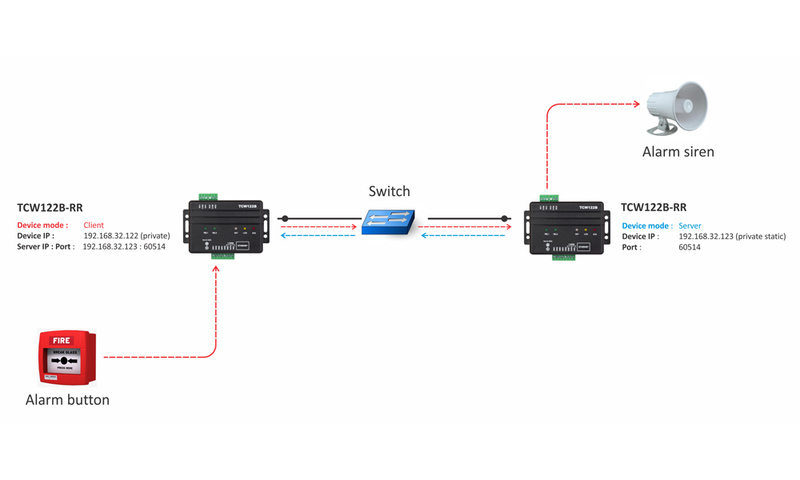 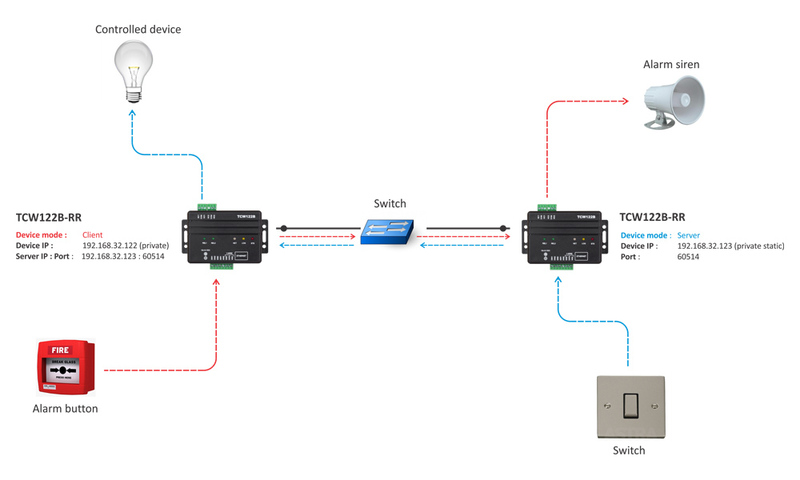 To arrange remote relay control two devices should work in a pair – one in “client” mode and other in “server” mode. 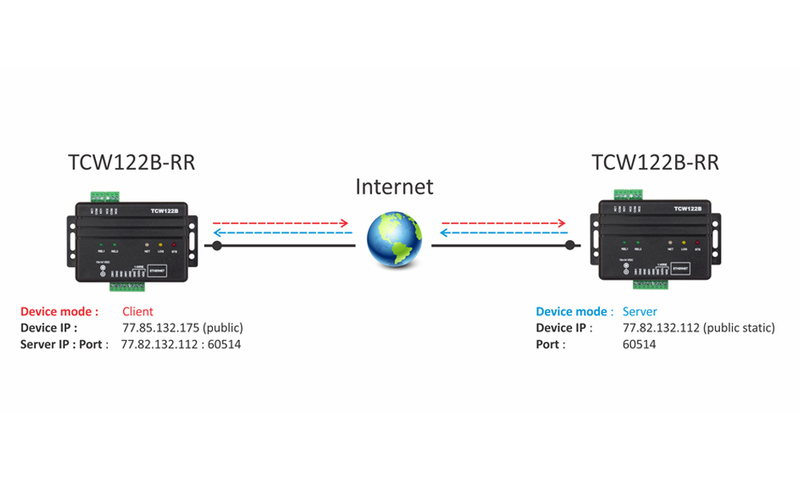 The “Client” sends periodically the status of its digital inputs to “Server”. 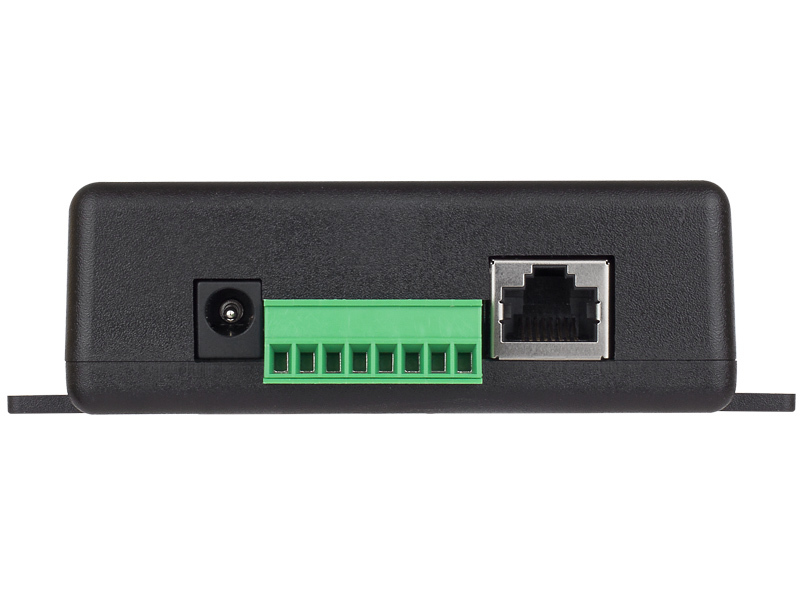 As an answer, the “Server” returns its digital inputs status. 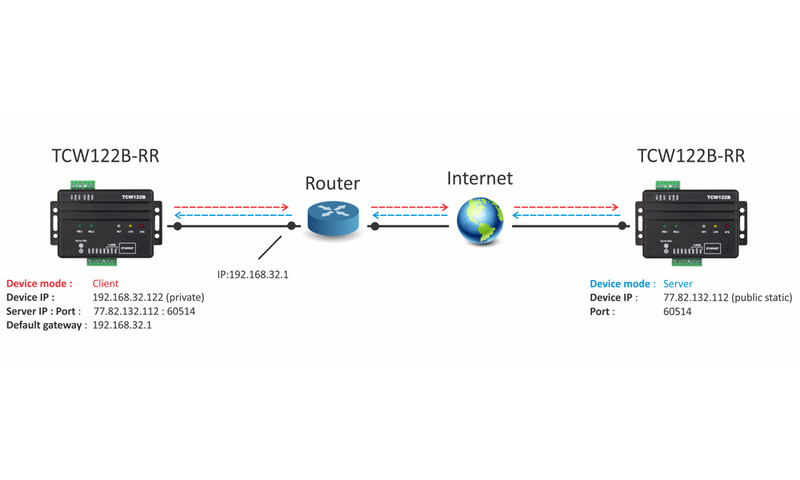 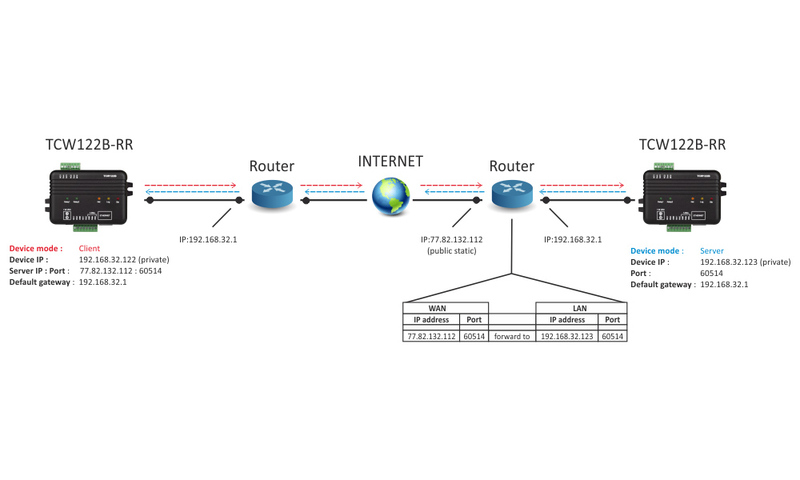 “Client” is connected to LAN and “Server” is connected to different LAN, but behind a router with public IP address and port forwarding.